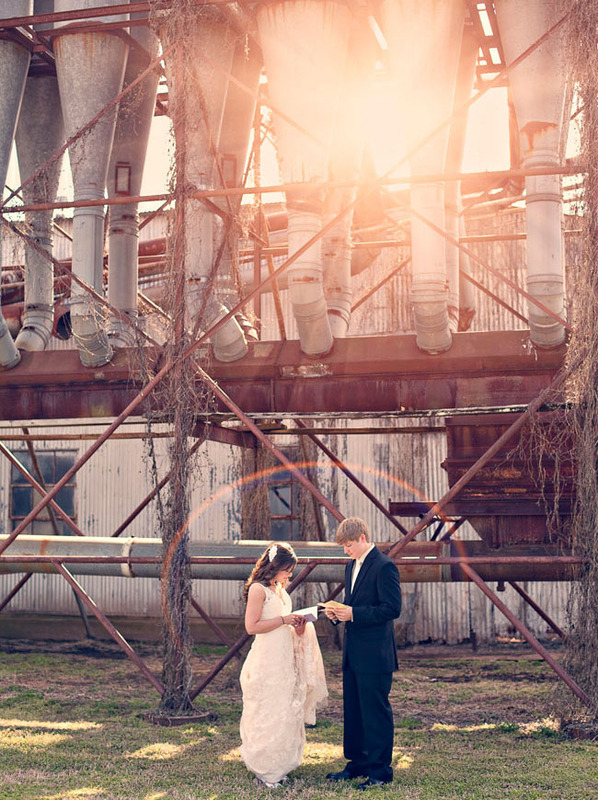 Mallory + Andrew were married at the Dixie Cotton Gin in Dixie, Louisiana. 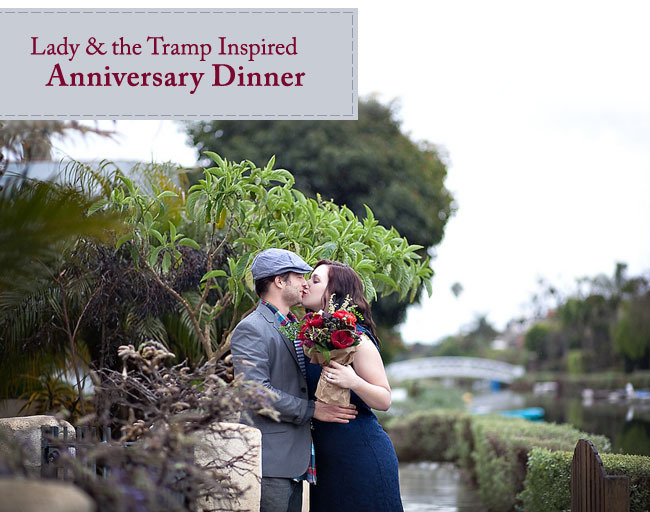 This is actually the place where Andrew proposed to Mallory! How super perfect. 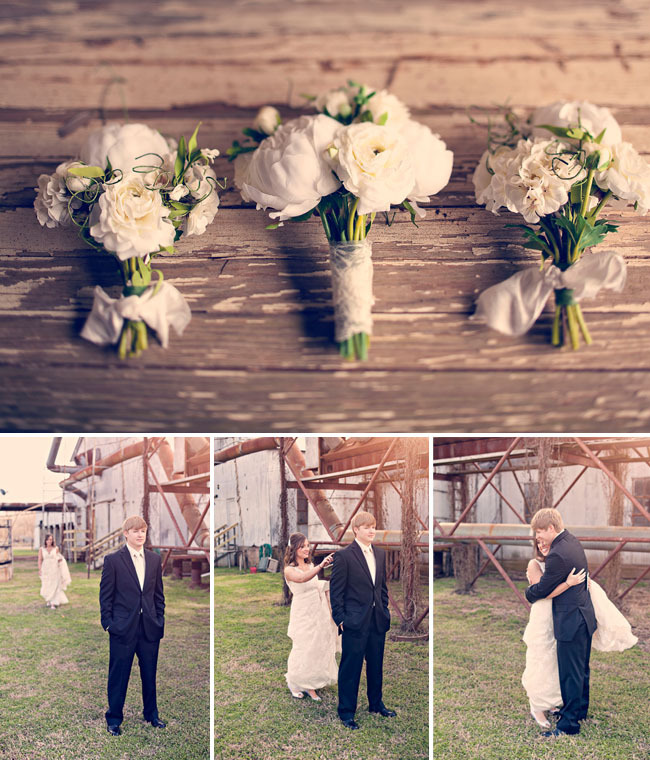 :) All of the bouquets + details were done by Mallory herself. 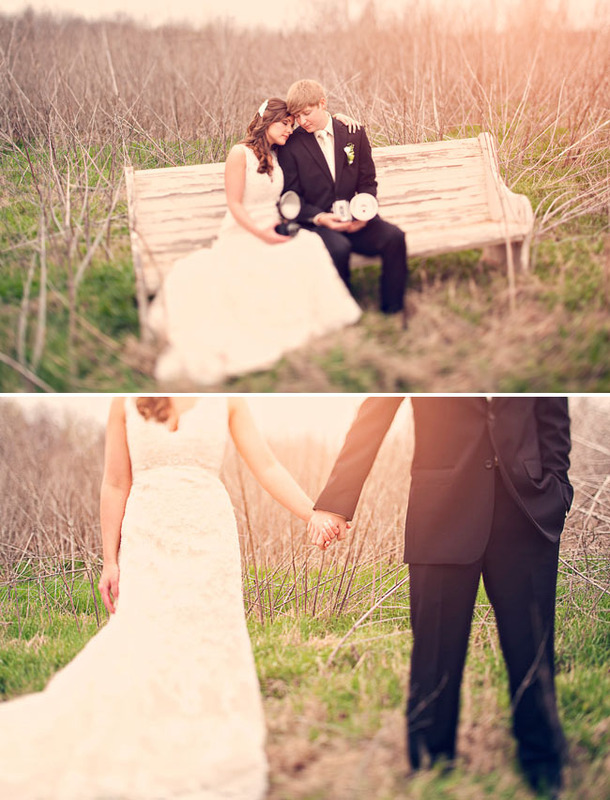 Thanks so much to Three Nails Photography for sharing your photos with us today + congrats to Mallory + Andrew! being green is wonderful.. the photos have such a vintage feel to it….! Everything’s so soft and pretty! Just beautiful. So beautiful! Does anyone know who the designer of her dress is? 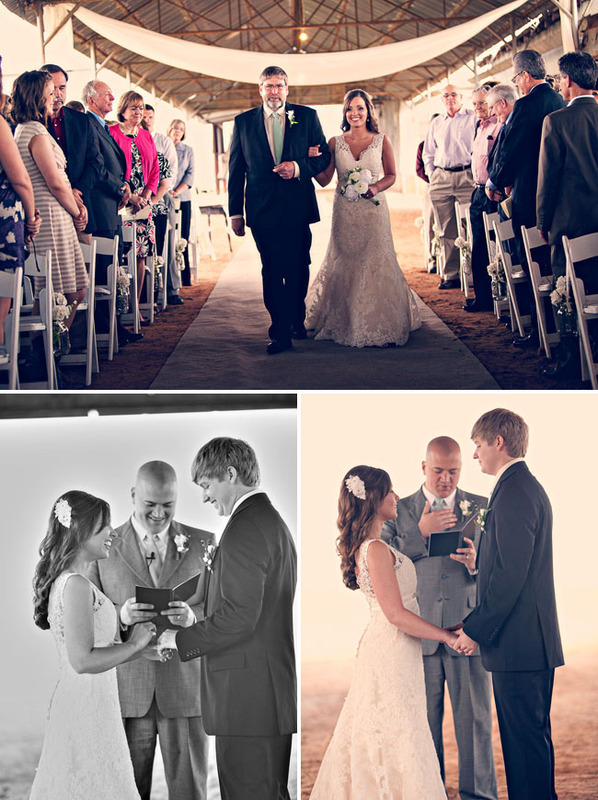 What a beautiful indoor venue, and so meaningful for them! Love all the vintage details too. 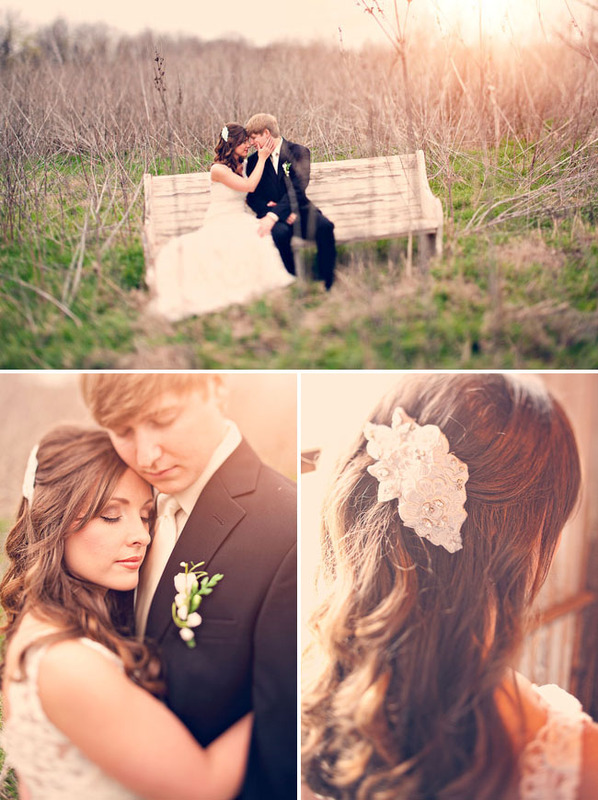 Vintage and natural, soft and lovely, and the light, Oh Man, that light! Gorgeous! Beautiful wedding! Where are the Mr. and Mrs. forks from? I would love to get some of those! Oh my word, this is divine!! That little girl is unbelievably cute in her little dress too! This is stunning! The lighting and photography are amazing!! 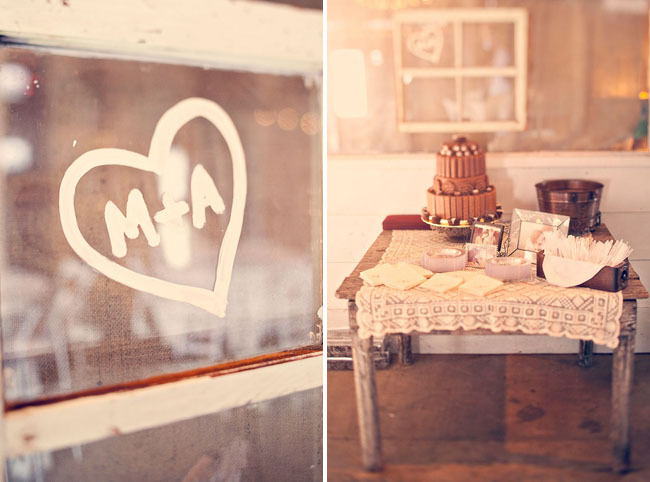 I love this romantic and rustic wedding! 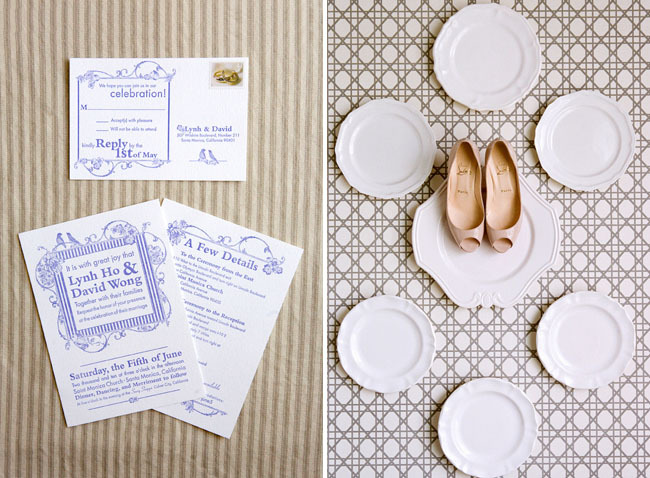 Really pretty details, gorgeous photography. Such a beautiful wedding party-everyone looks gorgeous! Where do you get the Mr. and Mrs. forks??? Those are so adorable! Beautiful wedding! 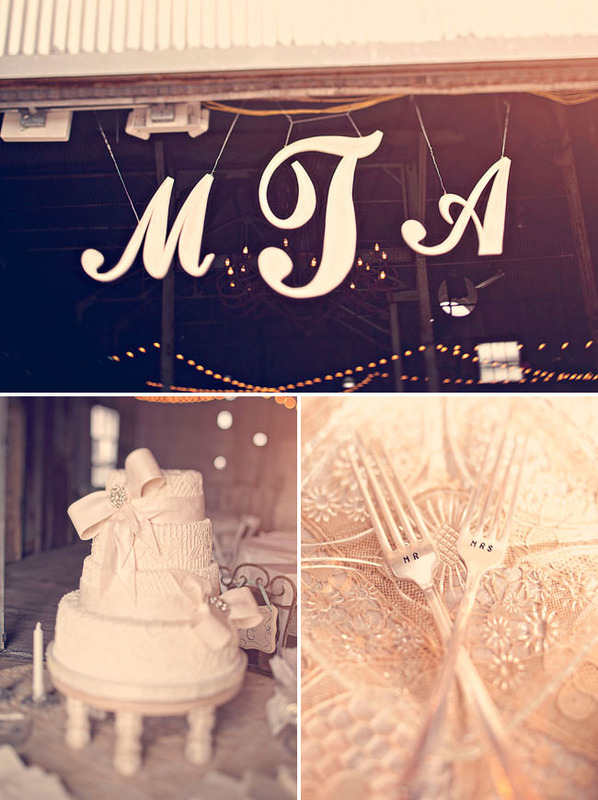 Love the reception decor….so simple and delicate! By the way, Darby, I know that you can get the Mr. and Mrs. stamped wedding forks on Etsy…Beach House Living sells them at http://www.etsy.com/shop/BeachHouseLiving?section_id=7041503. This is beautiful! What kind of building was the reception in? It looks like you might have used temporary flooring. I’m planning my reception in an arena with current sand flooring and trying to think of cheap temporary flooring to cover it. Any ideas or suggestions? 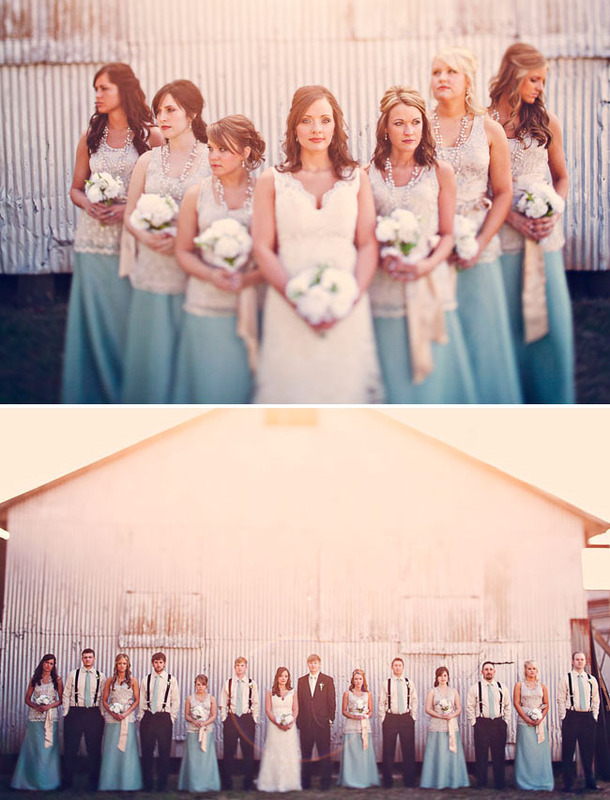 -the bridesmaids dresses are awesome! my mom made the skirts & sashes & we ordered the tops, they came together very nicely! 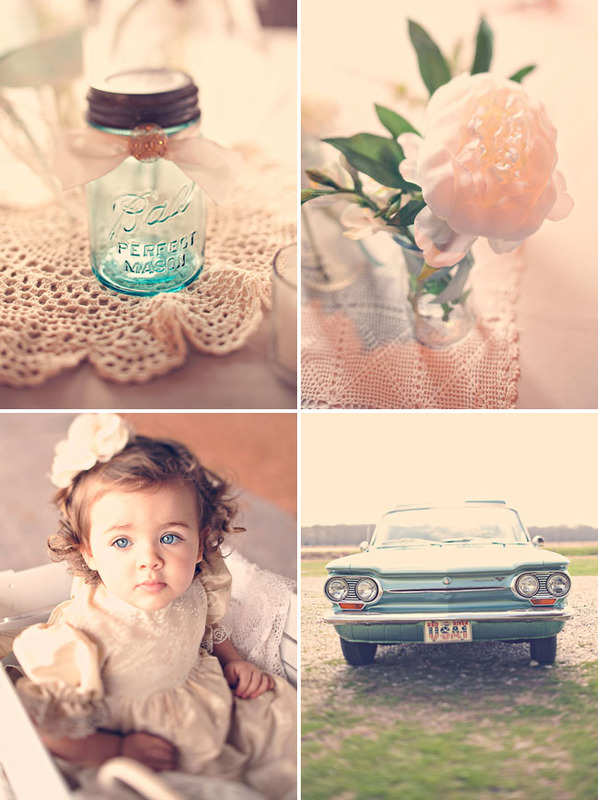 -the flower girl is adorable (and is my niece!!) her dress was made by my mom also! -and we didn’t have temporary flooring at the reception but we did have brown astro turf lining the aisle for the ceremony to prevent heels sinking in the dirt & dirty dresses! Thanks again everyone! It truly was a great day & couldnt have happened without amazing family & friends! & thanks so much for featuring us!! what an honor!!! 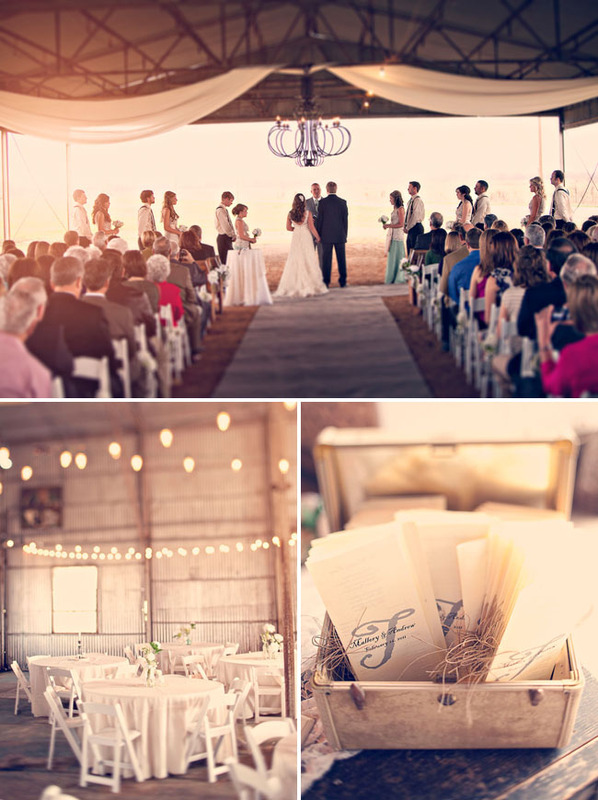 This wedding is absolutely stunning! 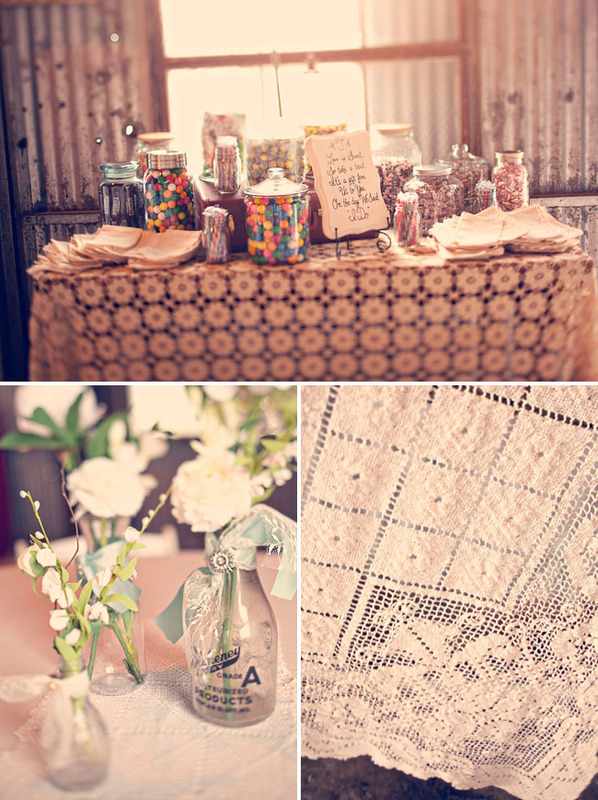 The soft light, stellar photography (love the use of selective focus) and sweet little details are sooo pretty! 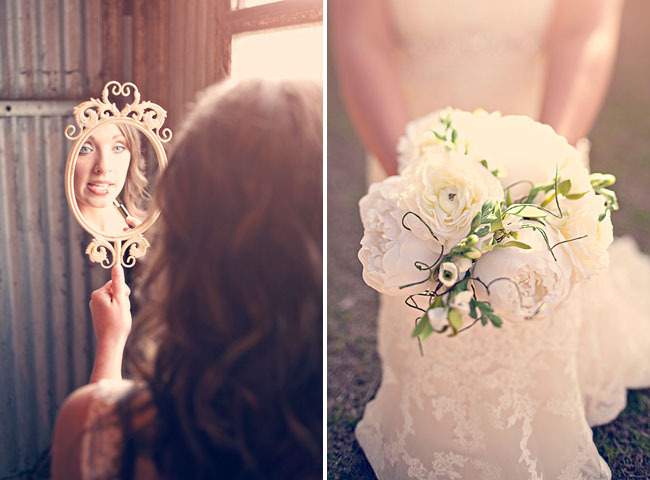 this wedding with all the lace details is gorgeous! love the picture quality as well! hi, i would love to know where you got the big hanging letters? ive been looking and looking but the only ones i can find are too small..Thank you for any info! the white cake is so classy! 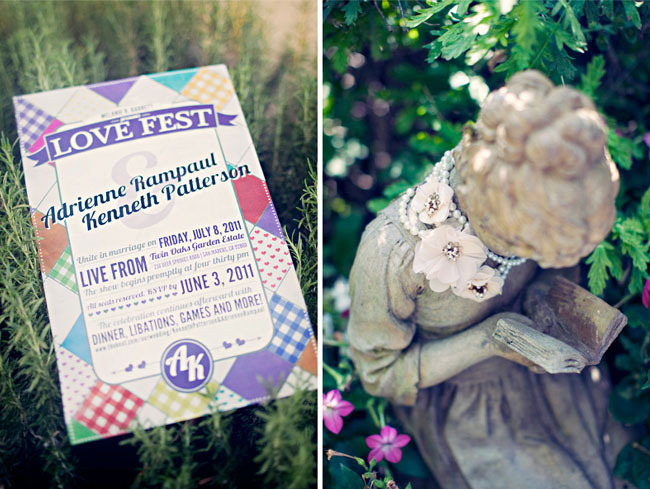 the flower girl is so Victorian! Adorable! 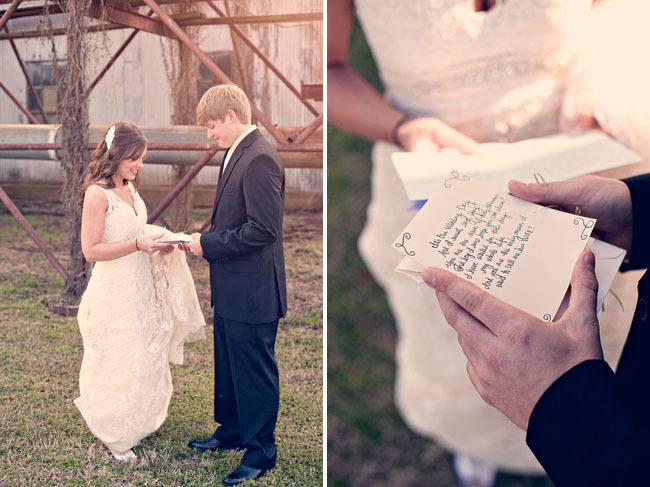 what a lovely couple…beautiful beautiful wedding! So beautiful! I have been a faithful reader of this blog for a long time, and it is so neat to see a wedding featured from where I live! Mallory, can you please tell me where you got the headpiece, the rounded flat piece in your hair. It’s so pretty. Thx! Love all the pictures! Can I ask where you got the hairpiece from? I am looking for something just like that! The forks can be found on etsy.com. Oh wow, what a gorgeous dress! I love the v-neck and intricate lace detailing. As always, Hunter- amazing photos!